The Willesden 5K PB race returns on July 25th 2019! After a successful first year, this fantastic event from Willesden Triathlon Club returns for adult runners of all ages and speeds. Taking part on the track at Willesden Sports Centre in North West London, there will be a great atmosphere as people push for their quickest times. More details about the day to follow. Join us for your first race or see how fast you can complete the course. Great fun for all levels, we welcome newbies through Ironpeople! WTC events have become famous for our friendly marshals… and our home-baked treats! 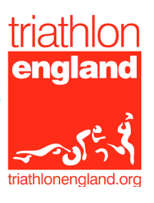 The Willesden Triathlon & Aquathlon takes place on Sunday 15th September 2019. Race registration is from 8:15-8:45 with a mandatory race briefing at 8:50am. Race start is 9am. Expect a race packet with full details, rules, timings, and other details early on race week. The location for all our events is Willesden Sports Centre, Donnington Road, London NW10 3QX. See our results page for details of previous events.